Which coastal erosion solution is the right one for your beach? 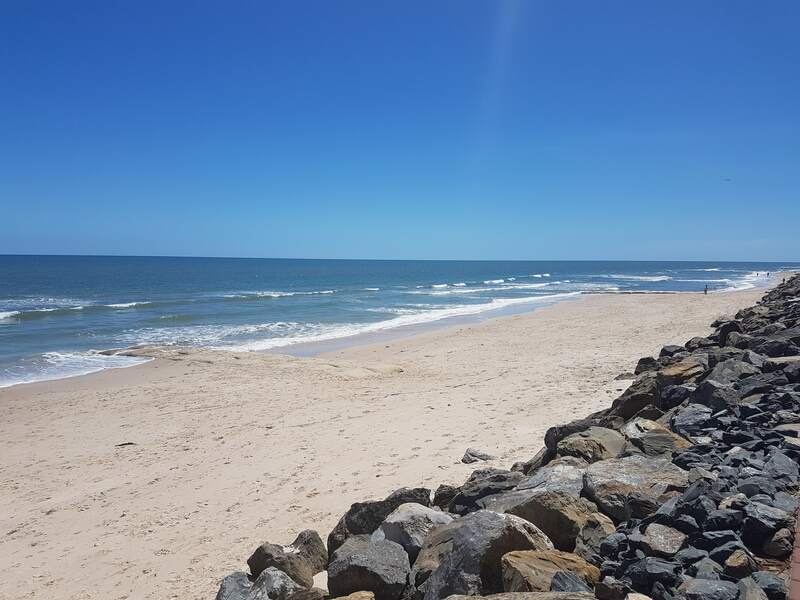 Historically in Australia there are three main types of acceptable material and methods that have been used for the purpose of preventing or repairing damage caused by coastal erosion. This erosion can be caused by wind or water. Generally, the coastal erosion we experience in Australia is caused by an increase in wave action or an increase in water (sea) height. All three types of material and methods have been used successfully in the past, however all require special consideration when investigating their implementation. A process in which sand that has been lost off a beach commonly through long shore drift or wave erosion is replaced from other sources or other beaches. Often the sand recovered is from a spit or natural groyne that has collected the sand which often has come from the affected beach. Trucking or dredging sand back onto a beach is typically a repetitive process since this method does not remove or provide long term protection from the physical forces causing the erosion. Beach nourishment is often the least expensive option. This is especially the case when the sand can be sourced locally i.e. from a neighboring beach or dredged from out at sea. Often less impact to the beach and the beach users as the deployment and spreading of sand on a beach can be completed rapidly. Often this method is a short-term option. Nourished sand often needs replacing after any storm or high tide event. Taking sand from another source, can create an issue at the source location. Trucking sand to a beach has the usual concerns. Access and negative environmental impacts caused by using heavy transport (trucks) options. When coastal infrastructure such as roads and buildings are threatened, often the first idea is to erect a hard structure to form a sea wall, commonly known as a revetment. These are designed to stop the natural movement of sand and contain the sand while creating a buffer to further erosion and preventing the landward migration of an eroding beach. Rocks can also be utilized when considering a groyne, and there are many examples of these throughout Australia. The rock used for any coastal application is required to be sourced from a creditable quarry, as there are certain specifications when considering rock supply. Size and density of the rock are two of the critical specifications that need to be adhered to. Several planning factors come into play when considering a rock structure. These include, and not limited to, public amenity, voids encouraging vermin, reflective nature of the wave action off a hard surface, placing and installation techniques. Often viewed as a long-term solution. The voids in rock be an energy absorption device. If local rock is available, they can be cost effective to build. As waves hit solid structures such as rock, their energy is reflected rather that absorbed. Voids in a rock structure can be a breeding ground for vermin. Rock structures are often hazardous to walk on, thus making them a public risk. Rocks can become slippery which can make them dangerous for public use. The haulage of rock is detrimental to the environment as well as damaging the local area. The use of geotextile sand containers as coastal protection systems has grown since the first applications in the 1970s. The science behind the implementation of GSCs along with the geosynthetic material used has also matured over this time. GSCs are now seen as an alternative to hard structures providing a medium to long term proposition. Projects throughout Australia that have successfully utilized GSCs include revetments, groynes and artificial reefs. Generally seen as a soft engineered structure, GSCs provide a useable public amenity along with a structure that has the benefit of absorbing wave action. Sand used to fill the containers can also be collected from a local source. A sand container revetment has the benefit of becoming vegetated. Local sand can be used to fill the containers. Unskilled labor can be utilized for filling of the containers. Can be susceptible to vandalism. Often seen as a short-term proposition. Filling and placement can be time consuming. The design of the solution by a suitably qualified and experienced coastal engineer. If a coastal protection structure is not properly designed for the conditions and the designer does not have the appropriate amount of experience in designining using the recommended solution, the project could fail within a very short timeframe, sometimes within five years. A well designed soft structure using GSCs can last upwards of 20 years. A hard structure even longer. If you need help finding a coastal engineer for your projct talk to our team. We can refer you to any number if highly experienced coastal engineers to design your project. The construction of the solution by experienced contractors. Correct installation to the design is crucial. Seemingly small details such as how a GSC is filled can have a significant impact on the success of a solution. Our team can refer you to a number of highly experienced and qualified contractors to assist with your project. The quality of the materials and products used in the structure. There are many factors that contribute towards the quality of a GSC. We would recommend that you review our Coastal brochure to see the performance factors associated with a GSC. Talk to our team for more advice.